We stock a huge selection of rods and reels, lures, bait, as well as fly tackle. From bluefin tuna to yellow perch, and everything in between, we have your tackle needs covered and we are happy to point you in the right direction. 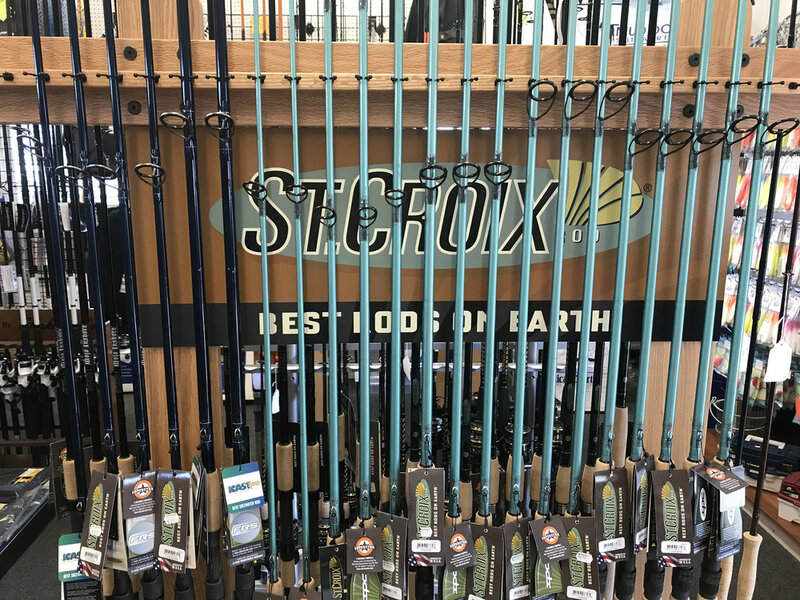 Rods by St. Croix, Temple Fork Outfitters, Shimano and Aquidneck Island Rod Builders, Reels by Van Staal, Penn and Shimano, and tons of lures from Yo Zuri, Hogy, Spoffords, Roberts, RonZ, MirrOlure, Salt Cod, Joe Baggs, and Schultz Custom Plugs among others! Come by and see us at 41 Sparks Avenue, attached to Mid-Island Gas, and right next door to the Stop & Shop.